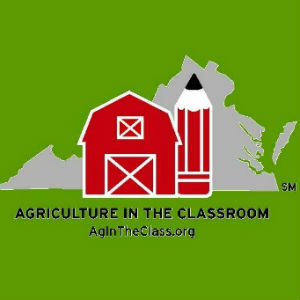 Anyone with an interest in education can donate agriculture-related resources to a nearby teacher through Virginia’s Agriculture in the Classroom Adopt-a-Teacher program. Participants partner with AITC by purchasing an Adopt-A-Teacher kit to help an educator incorporate agriculture into his or her classroom. “This program provides an avenue for educators to learn about the vast program resources available through Virginia Agriculture in the Classroom, as well as connect with a friend of the farm,” explained Tammy Maxey, senior education manager for Virginia AITC. “The back-to-school initiative is a great way to increase the awareness of the Agriculture in the Classroom curriculum and resource offerings to educators across the commonwealth. “Adopt-A-Teacher kits are a great opportunity to highlight our website and the latest educational games, as well as lessons connecting children to the sources of their food and other basic needs,” she added. Virginia AITC has been working with state’s educators for more than 25 years and is part of a nationwide effort to foster understanding and appreciation of agriculture, which is Virginia’s and the nation’s largest industry. The program has reached over a quarter-million children and provides training and materials to more than 2,000 educators annually. Its website provides teachers with Virginia Standards of Learning-aligned lessons, literacy activities and more. All AITC services are provided to educators at no cost. The AITC program is funded by donations received through the Virginia Foundation for Agriculture in the Classroom, a nonprofit organization that receives financial and administrative support from Virginia Farm Bureau Federation. For more information, visit AgInTheClass.org.